In a nutshell packrafting is a combination of hiking and paddling. Packrafts are small and light enough to pack inside your backpack when you go hiking. Yet when inflated they become fully functional river rafts. 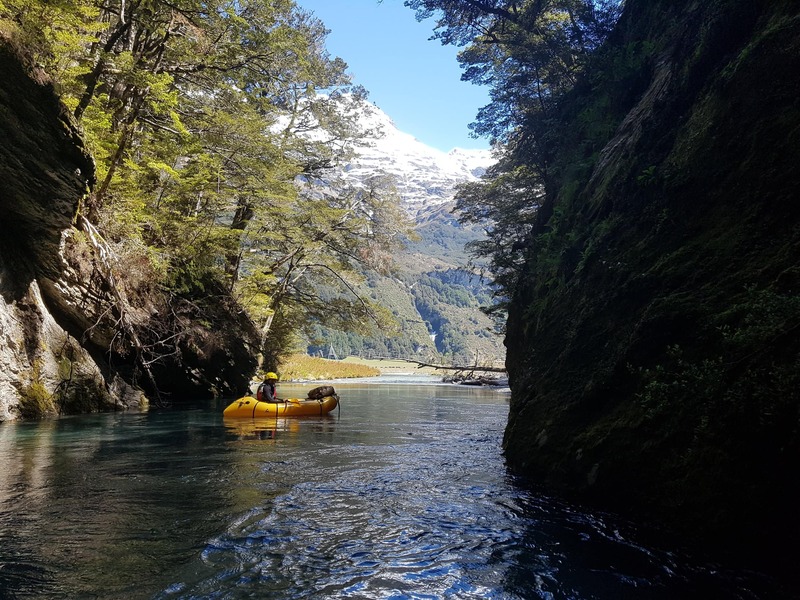 Packrafts allow us to undertake journeys that were once impossible — we explore rivers that are too remote, or too shallow for traditional kayaks. Our aim is to explore in a way which preserves the natural values which have brought us there. Our small groups never exceed six people, and we operate under the principles of Leave No Trace so that our wild places remain just as we found them. First things first, our rafts are demons on the river. With big tubes of air on all sides and a low centre of gravity, they are quite simply as stable as a table. We’ve taken them through class IV rapids (expert grade) and they performed like demons. Needless to say we had a fantastic time. Another benefit of their airy design is that they can be paddled in very shallow water. This is handy for Zealand’s braided rivers which frequently fork out and re-connect downstream. 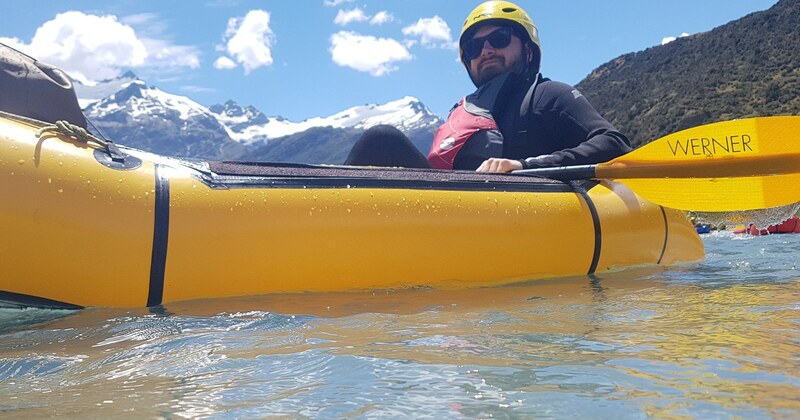 Compared to a plastic kayak our rafts can head much further upstream, deep into the mountains. Our rafts fit in your backpack. Each boat rolls down to the size of a sleeping bag, and weighs a measly 2.5 - 3kg. This makes it easy to carry the rest of your gear at the same time. And our paddles are built for walking too. They break down into sections and strap securely to the side of your backpack. With a genius little inflation bag, anyone can inflate our rafts just a few minutes. You won’t be left cursing at an awkward pump, nor passing out from hyperventilation. And they are as tough as old boots. We give them a hard life and they just don’t seem to die. On the off chance that something does happen, we’ll be carrying a repair kit which does an easy, bomber, on-the-spot fix.